Advanced warning… this post is possibly my longest yet. 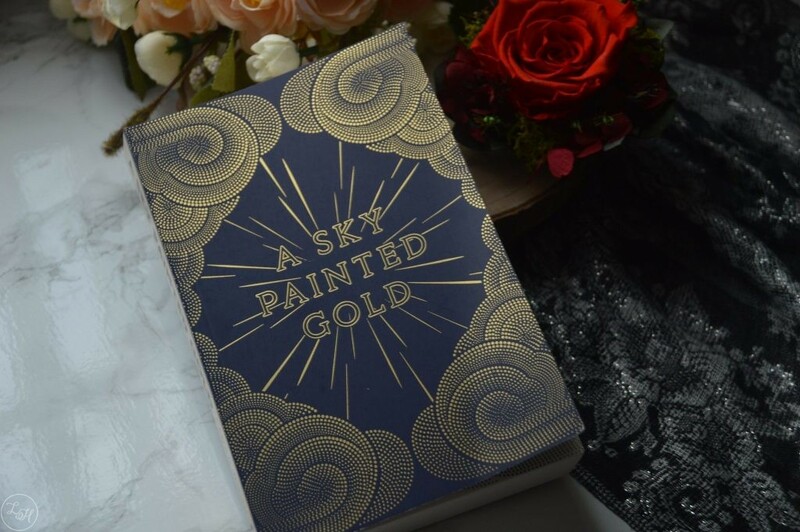 I managed to get an ARC of A Sky Painted Gold back in March at the first Northern YA Literary Festival, I really wanted to read it asap but sadly I had my dissertation to finish and then it took a while for me to pick it up after… I’m really kicking myself for that now! I attended an event for the book in Manchester on September 9th, and you can find the post for that day in general here! I won’t hold back with this review, I completely loved it. The whole story is just so adorable and nothing like what I’ve read before. As a predominantly YA Fantasy reader, even my Contemporary reads usually have some reference to something like Harry Potter in or something, but nevertheless this story just pulled me in completely. 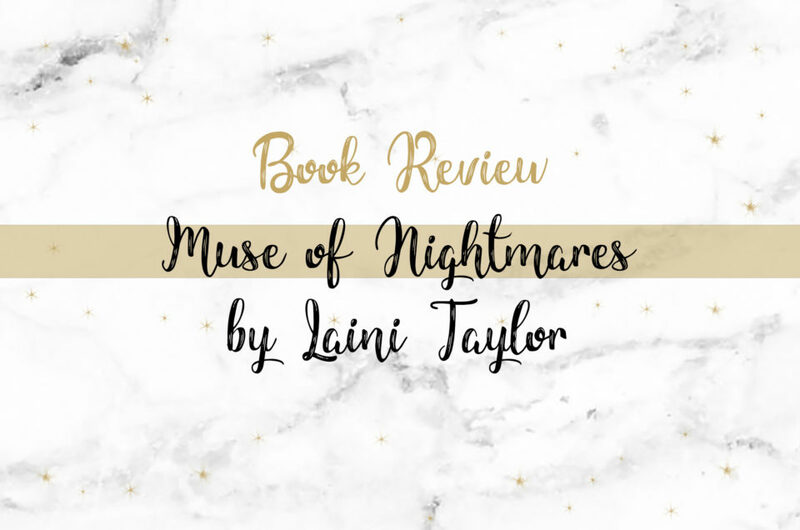 Read on for my mini review, and an interview with Laura! ‘Growing up in her sleepy Cornish village dreaming of being a writer, sixteen-year-old Lou has always wondered about the grand Cardew house which has stood empty for years. And when the owners arrive for the summer – a handsome, dashing brother and sister – Lou is quite swept off her feet and into a world of moonlit cocktail parties and glamour beyond her wildest dreams. 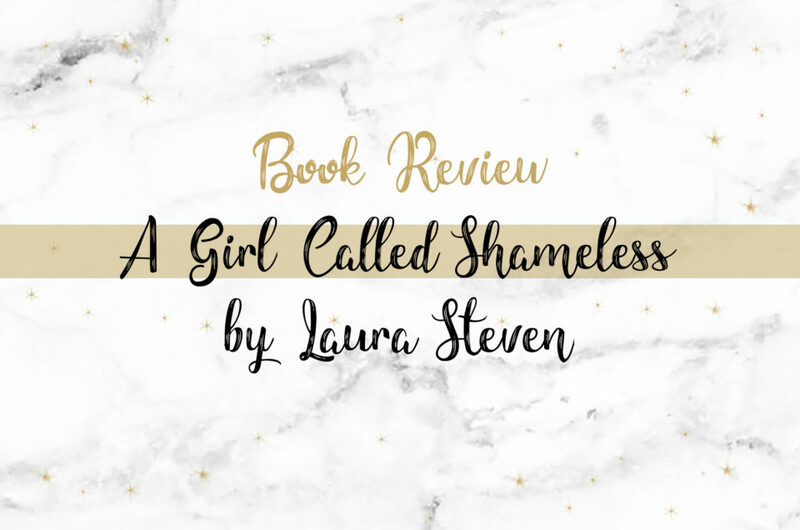 I’m keeping this review to a fairly small one owing to the fact that I had an interview with Laura the day after I’d finished where I spoke a fair bit about how much I loved the book! 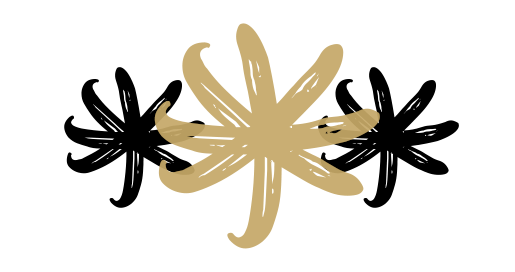 A Sky Painted Gold is written beautifully, with mesmerising elements throughout where Laura describes everything to the finest details from the rooms’ decorations to the hair styles and makeup. It’s all perfect for the 1920s setting also, and you can really see just how much research Laura has done prior to writing. The finest of details also really help with imagining the story, as it’s full of glorious parties and the descriptions will absolutely make you wish that you could be a part of it all. In terms of characters, there isn’t really a single character which you’ll dislike throughout the whole book. There’s a disapproving Aunt who comes close, but Laura counteracts this with having her in fairly enjoyable scenes. The main character, Lou, is the focus of this coming of age story but there is also a strong development of other major characters which we get to see. Relationship-wise, family and friendships are key to the story. Lou finds herself thrust into a new world of those who don’t need to work hard to put food on the table and she gains a lot of friends through this. Most notably is the Cardews — who are in town for the Summer to stay at their family’s holiday home. Caitlin and Robert Cardew are like chalk and cheese in terms of personality, with Caitlin being the bubbling socialite (at first glance, anyway) and Robert being the reserved brother but the sibling who gains most of the limelight. Caitlin welcomes Lou with open arms and invites her round almost every day, but her friendship with Robert starts as fairly tremulous. Initially, Robert’s sarcasm isn’t taken to well by Lou (even though they’re actually very similar people). When she releases that he’s a huge fan of her writing (which is the sweetestttt thing) they begin to warm to each other whilst still throwing the occasional dig. I loved their budding friendship, and I loved how much Lou cared for his sister too. She’s worried about Caitlin very soon after meeting her and it’s one of the hidden secrets. Laura approaches it all so carefully though that I just have to admire her for it. In terms of Lou’s family, she finds herself almost escaping them after her sister, Alice, gets married. Everyone tells her that she’ll be next but she realises that she wants something different for herself. This causes a gap between her and Alice even though she’d previously always been her shadow, and it really adds to the overall story. My mini-review got a little carried away with itself but I’ll end with this, I don’t think I’ve ever read such a feel-good book before. The ending was just perfect and it was refreshing to read a book where it ended and I was actually happy about every outcome! I recommend this book if you’re looking for a cozy read to remind you of Summer, and I’m definitely looking forward to seeing more YA novels from Laura! Luchia Houghton: For those who haven’t yet read A Sky Painted Gold, first of all how would you explain it in your own words? 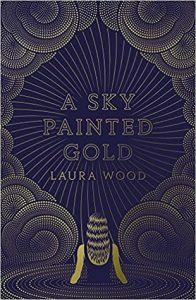 Laura Wood: A Sky Painted Gold is a coming of age story set in the Summer of 1929. It’s quite dreamy and romantic and well I guess we’ve been pitching it as I Capture the Castle meets The Great Gatsby which I think is quite… I mean that’s a high bar but I think that’s quite accurate with the kind of intention behind it. LH: The parties were one of the most amazing parts of it, especially the last one which was my absolute favourite. LW: The last one? Oh my god so good isn’t it? LH: It was! Because the details were so brilliant it really did seem like it was something you’d been to before, so have you ever been to a party like them? LW: Ah that’s a great question, no I haven’t, nothing like those. That’s really nice, I feel like it was so clear in my head though and also I think I love when those kind of parties come up in films and books and stuff like especially having the kind of masked ball at the end that’s such a… I mean I absolutely stole that. That’s one of those things that whenever that happens in a film or book I’m so happy so I knew I wanted to include one. And it was actually so much fun like being a party planner but getting unlimited resources and unlimited budget getting to design all these parties that they had it was a really fun part of writing it. But no sadly I haven’t been to anything like that. I think maybe if the book makes enough money we should have some huge A Sky Painted Gold masquerade! Yeah that would be great. LH: Is there anything other than The Great Gatsby that you took inspiration from for the parties? LW: For the parties yeah I did like a lot of research into the 1920s and the kind of bright young things who were these kind of socialites in the 1920s who were having these parties. Like the white party that Caitlin has, where everyone dresses in white and everything’s white, that’s based on a real party that they had but they used to have these… when you look into it you couldn’t make up stuff as mad as the parties they used to have. They had a party where people had to come as like past versions of themselves so they came as babies in prams and they had cocktails in bottles. They had a party at the… like a swimming party, a bathing party, which was like a huge scandal because it was just everyone getting up to all sorts of indecent behaviour in a massive swimming pool and some of the press managed to sneak in and it was all over the place. And they had these elaborate costume parties and you see some of the costumes like they had a Mozart party and everyone dressed up in these kind of like huge dresses with the big white powdered wigs like they’re incredible so the more I looked into that the more I thought well this is such a dream because it’s so easy to then write about these big glamorous parties because of that. LH: I guess it means that you can sort of go wherever you want with it as well? LW: Yeah I think that that’s partly how it was for them as well like it was a real kind of wildness that came after the first world war and this kind of modernity and this new modern generation who wanted to kind of I guess clap back to all the kind of terrible things that had been happening. And so they were so wild and they did all these things that were so mad that it gave, as a writer, it just gave you so much space as you say like you could just go wherever you wanted to go and it still felt real and believable because they had done worse. LH: That’s true, so what made you choose Cornwall as a setting? LW: Well I am obsessed with Cornwall it’s a problem… My mum’s side of the family are from Cornwall and my grandparents lived in Cornwall as I was growing up so we used to go there all the time. It’s a really special place for me like I have a real affection for it. But also specifically in Cornwall there are places that the book is about and the main place is St. Michael’s Mount which is in Marazion in Cornwall and that’s what the Cardew island is based on so it’s like the island that’s joined to the mainland by the causeway and when the tide comes in like it’s cut off and when the tide goes out then you can walk across to it and when I saw that I just knew that I had to write something about it because it feels really magical it has that kind of magical quality that I wanted the book to have. LH: Obviously Lou’s got a huge love for Agatha Christie novels, is that down to your own love for them or? LW: Ah that’s a great question, no one’s asked me about Agatha Christie. Yeah I do love Agatha Christie but it was also partly thinking about who would have been writing like at that time and who would be the right of vibe for the sort of writing that she was doing and thinking about wanting to choose someone who was quite like a strong female writer, who was writing something quite pulpy and really popular and that not being like a dirty word like this idea of popular fiction being something that’s got loads of value and that’s worth celebrating and I think Agatha Christie’s such a good example of that. LH: With the dresses especially they sound like something out of a dream as well just they fit so well into the parties and everything. If you were to be going to one of the parties in A Sky Painted Gold, which dress that you created would you want to wear? LW: It would be Lou’s dress in the last party, the green dress. I loved writing about the clothes so much making up the beautiful clothes was so much fun but also again a lot of the clothes are really clothes and that is a real dress that I stole. I’ve got a Pinterest board for the book and it’s got loads of the dresses pinned on it if you’re interested in them and there was a woman, an American woman called Marjorie Merriweather Post and she was this huge socialite and I don’t think she was ever in Britain really but her clothes are the most incredible things you’ve ever seen like she… I think she must have been about in her 40s by the sort of end of the 20s but you can see all her wardrobe because they kept everything and put them in museums and stuff. She was like a bajillionaire so she just had the most insane clothes and they go all the way from the late 19th century into like the 50s and they’re so beautiful but the green dress she had. She also the dress Caitlin wears to that party which is like blue, fringed with like great big silver stars on and she wore like this headpiece like with silver stars on and stuff. They’re amazing you definitely need to look them up. LH: Yeah I definitely need to see them! LW: Yeah they’re so beautiful it just makes me feel emotional because I just love them so much. LH: It would be nice if it was still in fashion now. LW: Yeah although I think it’s really nice how into the clothes everyone gets about it like I think everyone really… it’s such a special period for fashion and everyone really likes it. LH: Obviously you’ve mentioned in the panel that you can relate more to Lou that anyone, but who was your favourite character to actually create and write? LW: I think Lou was my favourite character because I knew her the best but I loved writing Robert and I really loved… every scene that they were in together was the best scene to write. It was so much fun and their, the kind of tension between them, and their growing friendship and the way they kind of understood each other and they both so obviously loved each other and couldn’t admit it to themselves! Oh my god it was so much fun I really loved it. LH: What would you want in a special Laura cocktail? LW: Definitely it would be whiskey-based, my favourite cocktail is a Rusty Nail which is whisky and Drambuie and very boozy so I don’t know. It would definitely be something like an Old Fashioned – a kind of whisky-based drink. LH: What made you want to write something that wasn’t middle grade? LW: I don’t think it was really like a huge decision it just felt like always something that I had been interested in doing like writing both, it just happened that I wrote the middle grade first. So I think I wanted to write YA because I read YA a lot and I really love it I think it’s a really exciting place to be to be working in like the community is so amazing but also it feels to me like its a place where people are doing really good work like really cutting edge stuff and really pushing lots of different boundaries. And it feels really new and vibrant and so I definitely was always really excited about getting into it and its only like really exceeding all my expectations of what it would be like it’s brilliant. LH: What kind of YA authors do you read then? LW: Well all sorts of different thing I really like contemporary stuff like I loved the Jenny Han books, I have for a really long time. Like the To All the Boys I’ve Loved Before series is so good and I was so relieved that the adaptation was so perfect because I really love it. 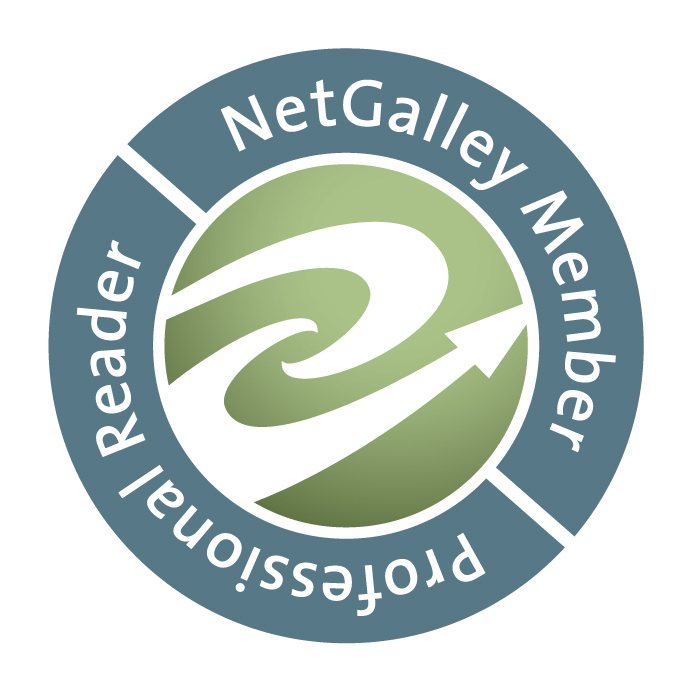 Alice Broadway, Keris Stainton… and who else do I like… I just finished the Alice Goodman Dark Day’s trilogy which is like a sort of amazing regency, supernatural thing. It’s like Buffy meets Jane Austen it’s so good. LH: That sounds really good! LW: It is really good, so she’s brilliant. I love Eva Ibbotson’s romances. Generally things that have got a bit of romance in like they can have lots of other stuff going on but I like things that have got a bit of romance in. LH: What’s your favourite way to go about the romance in the books you read? LW: I like all sorts of things, I like it when there’s like a really sparky relationship like I really like it when it’s like enemies to friends to lovers, that’s one of my favourite things I would say. I like lots of different ways I really love Georgette Heyer romance novels like I’ve loved them for a long time and they’re my ultimate comfort read and I’d read hundreds of them and read them over and over again. And what I really like about those is those tropes but all the different romantic tropes are in her books and they’re familiar and they’re comforting but its also what you do within that that makes them interesting. LH: Finally, do you have any advice for aspiring authors? LW: Just like really… do it! That’s it just do it that’s the best advice but I mean it’s really true like the hardest thing is just knuckling down and getting the work done. If you want to do it then you’ve just got to go for it, you’ve got to write, you’ve got to sit down and that brilliant idea that’s been in your head forever you’ve just got to sit down and get it all out on the page and it’s not gonna be perfect but it’ll get better and you can work on it and I think that’s the piece of advice that I needed the most was like stop being afraid and just sit down and get on with it. Thank you so much to Laura for answering my questions and to Kimi for the chance to ask them! It was such a great day in general and I’m praying for that masquerade party! dare we try some rusty nails tomorrow?